What has been your experience so far in the course of blogging? How long have you been into blogging? Have you begun to see traffic results despite all content marketing efforts? Do you know that blogging involves a lot of strategies and these are what constitute the fundamentals of blogging. Anyway, in today’s post, we shall be enumerating the top major strategies that would help you reduce bounce rate, increase blog traffic by 150% in few days or weeks and maximize revenue working the techniques with the right energy. In today’s publication, we shall be considering eight major strategies that could be applied to blogging. Let’s illustrate those blogging strategies under the following headlines. Actively commenting everywhere will boost your site traffic by 150% in a matter of weeks. This is a powerful blogging strategy which has been ignored by most veteran bloggers over the past years. Aside from being consistent with content marketing strategies, commenting on authority bloggers’ sites will increase the number of comments you’ll be receiving on your blog naturally . It’s such a powerful strategy to reach out to your ideal target audience. As you continue commenting actively and genuinely on other people’s blogs, the law of reciprocity will take effects and this will amaze you. Part of the great dividends in doing this consistently and actively is that the blog owners will invariably visit your blog, read your articles and leave valuable comments. The connection of friends, fans and communities who have been respecting and following these blog owners will follow suit. What does this mean to you? A great dividend? Yes, it is. “Out of the 249+ blog comments I left on other niche related blogs in October, 2014, I had 3891 real and targeted visitors driven to my blog from 224 blog comments alone“, says Neil Patel. Tip 1 – Avoid posting worthless blog comments like “Great read”, “Interesting article”, “Nice posting” and such other spam comments. Tip 2 – Read the content carefully, digest every bit and leave a valuable comment of at least 100 – 150 words. Tip 3 – If the article is within your expertise, contribute your own quotas to the discussion, make further inquiries based on what you read and appreciate the blog author nicely. Tip 4 – Always make genuine and authentic blog comments and the law of reciprocity takes effects. Tip 5 – Display your real identity using Gravatar (Most widely used and recommended). Guest blogging on several niche related blogs is another great way to strategize blogging. This simple blogging strategy will help you reply hundreds of blog comments and funnel thousands of real and targeted visitors to your blog. A simple way to implement this blogging strategy is to use the Google search box and enter your search keyword as follows: “Blogging fundamentals + leave comments”; “Internet marketing + leave comments”; “Affiliate programs + leave comments” and such other similar search phrases. Alternatively, you can reach hundreds of authority bloggers by sending out email scripts using the popular tool known as Hunter.io. This is an accurate tool to reach out to as many pro bloggers as you want but individually. I was searching online for articles about [Topic] recently when I stumbled upon your informative resource post: [Website Link]. I am delighted to tell you that I got a lot of resources from the page. I wouldn’t have come across [The Information they Linked It To] without it. It’s amazing: I published an informative guide on [Topic] recently. It’s [Short Description]. You might want to check it out here: [Website URL]. Equally, my informative guide could give an additional value to your page. Whichever the case may be, kudos for compiling your list of resources! Have a lovely day! Research has shown clearly that top list posts work more effectively than any other kind of posts. They get ranked faster in search engines than other forms of articles. Most veteran bloggers struggle to get found despite all writing efforts until they figure out this particular content marketing strategy. Do you want to boost your overall search engine traffic, build your ranking potentials and increase genuine blog comments on your site? Then consider making top list posts on your blog. You will reduce bounce rates amazingly and watch your site skyrocket to the first page with this strategy. Michael Dunlop; an internet marketing guru receives 100000+ real and targeted visitors monthly from more than 100 top list posts that he has published on his blog and has generated millions of views over the past years. Provide relevant information to your target audience: Never sound to your readers like an English Grammarian. You will realize that nobody cares about your big grammar. People are simply on the lookout for informative posts and you will pull tons of them once you can implement this strategy. Make your blog a Social Bookmark with at least an in-depth top list article of 2000+ words: Writing in-depth top list articles gets your blog featured on top sites like Forbes, Virgin, Entrepreneur, Fox News, Neil Patel, ProBlogger, SmartBlogger and several others over time. In-depth top list posts drive more search engine and social media traffic. As you create more posts, ask your visitors to leave comments after reading posts and promise that they will get responses in earnest. When they know they can ask questions or, perhaps, make inquiries about the post they’ve read and they will receive quick responses from you, they’ll be motivated to revisit and leave more comments. Receiving lots of comments on your blog is an important part of what constitutes search engine ranking. Creating content alone without engaging visitors can never take your blog to the first page in Google and other major search engines. Now that you’ve known the significance of asking your visitors to leave comments after reading posts on your blog, you might want to leverage some strategic ways to implement this. Ask your readers in the concluding part of your blog posts to leave comments : Once you have written an informative post, ask your readers to leave comments or ask questions based on what they’ve read in the particular post and promise to reply as soon as possible. Use the WA “SiteComment” platform to offer and request blog comments: This is the best platform in the world to offer and receive quality blog comments from real people who have passion for what you’re doing. Learn more about the WA SiteComment platform here and start leveraging it right away. Installing the CommentLuv plugin will exponentially increase the number of comments on your blog for the fact that blog readers get SEO juices and lots of “DoFollow” backlinks when they leave their valuable comments. You equally get “DoFollow” backlinks from several CommentLuv niche-related blogs through blogger outreach campaigns. If you need a list of 100s of the top CommentLuv blogs to make your blog comments, don’t hesitate leaving a comment below and I’ll be getting back to you as soon as possible. Have you ever come across or heard about the CommentLuv plugin anywhere? This is a Search Engine Optimization tool strong enough to drive tons of traffic and valuable comments to your blog. The CommentLuv plugin is an effective tool that motivates your readers to constantly visit your blog, read your posts and invariably leave genuine comments. Are you worried about how your blog readers would be getting to know whether or not you have a CommentLuv plugin installed and activated on your blog? Your blog readers can easily identify the CommentLuv icon if enabled right on your blog. To make the most out of blogging and become a success soonest, it’s important that you must follow all the fundamentals of blogging and every bit of advice being given. To boost your page rankings in Search Engine Results Page (SERPs) and maximize online revenue through blog commenting, reply all comments within 12 – 24 hours. Sometimes, I respond to comments in 2 – 5 hours and can be a bit longer in some cases. When visitors leave comments on your blog, they check back with the zeal to knowing whether or not their comments have been approved and replied. People feel uncomfortable to continue commenting on your blog when they know they’ll not be responded to on time. I try making genuine comments on blogs where I get responses on time but never comment on dead blogs. Getting too busy or failing to respond to other people’ pending comments on your blog on time will drastically reduce the number of comments you’ll be receiving on your blog both now and in the future. The factor that truly determines whether or not your audience will be spending some moments reading posts on your blog is based on the structuring of your headlines. How do you structure your headlines? Do you make it attention-grabbing? If your headlines are captivating, then your readers will be highly likely to spend some quality time reading your blog posts. Let’s look at some considerable points when trying to make headlines. Make Promises In Your Headlines: By making a promise to your readers, you’ll be prompting a good number to read your post while they’ll always be on the lookout for the fulfillment. Include What People Want In Your Headlines: What do you care about when you’re making your headlines? Is it what you personally want to write about or simply what you think people would want to read? Make your headlines attention-grabbing to generate more traffic to your blog. Include More Specific Long-Tail Keywords In Your Headlines: Choosing long-tail keywords that are more specific in your headlines will lead to higher conversion values. While leveraging the social media channels, You need to learn about what truly works and what does not work. Having hundreds of followers may not guarantee traffic if you’re not active. Being active across social channels, helping other people solve their problems, doing social engagement effectively and chatting with friends regularly will yield the much needed traffic with time. If video is embedded in your content, it will catch your reader’s attention more and more and will make them recollect over 75% of whatever they have heard and seen. From data results in SERPs, content embedded with relevant videos has a great ranking potential to appear on the first page. If you want to integrate your blog posts with videos, then make them 100% relevant to your content, very short and helpful. The shorter your videos, the higher the views you can generate from them over time! This is part of the search engine requirements to get a first page ranking based on content. All resources used such as podcasts, videos and images within your content must be topically-relevant. If you want to see your blog traffic grow exponentially, then start giving and taking blog comments. It’s a working strategy that helps you rank in Search Engine Result Pages (SERPs). Blog commenting has got some powerful ranking signals over the years when it comes to building links and driving massive traffic. If you enjoyed reading this post, share with friends, groups, fans and communities on Social Media platforms using the social media icons below this post. Don’t forget to subscribe through our email subscription form placed on the right sidebar to ensure you get all of our future updates. I knew that comments were important but I didn’t know that they helped increase traffic. That’s interesting!! CommentLuv I need to check that out. Relying to comments quickly is something I have always tried very hard to do. I have always gone by the philosophy treat others like you want to be treated. Thanks for reading my post momsmith! Kudos for fleshing out points that are important to the progress of your online business. Replying comments on time is really an important factor although we all know that there are a lot of activities we perform in the course of building up our various sites. We just must try and make this a priority except when we have issues or cogent reasons we cannot reply on time. Thanks for visiting! Again, very insightful article. I never saw commenting on other authorities’ blog as a strategy to increase my blog traffic. When I think about it, it does make sense. Like you said, the blog owner will most likely visit your site and perhaps even approach you. I’m going to start implementing this strategy as soon as possible. Because that’s where I’m at: the traffic struggle. Thanks for dropping by Didi! Kudos for reading! Commenting on authority bloggers’ sites is a powerful and working strategy to getting blog traffic. And it’s such a blogging strategy that has been ignored by most veterans out there. Thanks for visiting! Thanks for this post! I especially like your emphasis on the importance of comments on your posts. In my offline entrepreneurial efforts, I’ve always felt that the customers you have who trust you and are satisfied with your service/product/whatever are of greater value than a new customer who doesn’t trust you yet. Comments are an online way to continue building relationships, I think. Thanks for stopping by and leaving a thought, Netta! Yeah, comments are a powerful instrument to build up a site and are regarded by search engines as the most effective way to engage your target audience. Replying only genuine comments left on your site as well as leaving genuine and authentic comments on other people’s sites are great for building up rankings in search engines. Thanks for visiting! Looks like I am going to have to put all of these strategies into play. I have used the WA Site Comments for a few and the WA post where users request comments to gain a few more. Thanks for stopping by and leaving a valuable thought, Corey! Much appreciated! It’s great to hear that you have been leveraging the WA Site Comment platform to get some valuable comments to your site. The CommentLuv plugin would not be necessary for you anymore if you are a WA community premium member. You just have to implement all working strategies to ensure that you step up to success as soon as possible. Thanks for visiting! That’s interesting that I have the CommentLuv plugin on a list in front of me right now. These are plugins that I have been hearing about and want to check it out now. So, I guess that plugin moves to the top of the list. Thank you for that info! My approach to commenting isn’t quite at the level you outline but it’s definitely on that road in terms of strategies. I’m going to bookmark this article. Thanks for finding and reading my blog posts, DrDoug! Kudos for fleshing out important and practicable tips from the post! Much appreciated! The CommentLuv plugin is not needed by any member of the WA community. Commenting actively on blogs is a great way to get some referral traffic and maximum exposure. You will be implementing working strategies to skyrocket your site to the first page on search engines. These are incredible tips! I thought I knew most of the ways to optimize my blog but this really gave me much more insight. I am currently working on attention-grabbing headlines like you suggested. Top lists are definitely great for blogs too! I am slightly confused about the CommentLuv Plugin though, how exactly does it motivate the readers to comment? Thanks for reading my blog post, Neil! You need to implement a lot of working strategies to move your blogging game to the next level. You wouldn’t get results without applying consistency. Being consistent with whatever works is the most crucial thing to work upon while trying to build up your business. Making your headlines attention-grabbing , writing top list posts on your blog alongside implementing other working strategies will help you build your business and get better search engine rankings. You wouldn’t need to install the “CommentLuv” plugin if you are a WA community member. All technical stuff has been handled for you by default so you can focus on what matters. Thanks for visiting! This is the first time I’ve heard that commenting on authority bloggers’ sites results in increased comments on your own site. I will try this strategy out. How do people know your website address from your comment? I don’t leave it in my comment because it is looked on as spam. Another strategy that works well for me is the Top Lists post. With 3000+ words my blogs have mostly ranked on the first page within hours of requesting indexing after fetching them on Google. Thanks for reading my blog post, Ed! Blog commenting works not only for increasing the number of comments on your site but also for getting high quality backlinks if you are commenting on other niche related blogs. You are making huge mistakes by refusing to fill out the comment forms with your own links on other blogs so far they are niche related. You don’t enter your links only on unrelated niche blogs so as not to get penalized for getting low quality links. Do you make all of your posts up to 3000+ words? If so, how many posts could you make in a month? Have you been able to get enough time engaging your audience with the volume of your content? Have you got enough time to outreach and guest post for pros? Thanks for getting back! Much appreciated! Get updated with back-linking strategies and be ready to move your blogging game to the next level by checking out the following posts. Thank you for writing this! This blog post really got me thinking about which strategies I am using at the moment and which ones I have overlooked. I haven’t been very proactive in leaving comments on other people’s websites. Also, I am new to internet marketing and I haven’t had the courage to be a guest writer yet. I really liked your sample email letter. It made me think I could send this letter out as well and give it a try. Also I haven’t heard of the CommentLuv plugin before. I will have to look that one up. I was just wondering though….I have a reasonable number of posts on my website, so I was wondering when do you stop looking for fresh comments, etc from the audience and when do you move onto a fresh post with brand new content? Thanks for leaving a thought, GBIG! Because online business is just like any other business you do offline, you need working strategies to get things done on time if you wouldn’t want to get upset. You must consider writing guest posts for pros who have more traffic and higher domain authority than you. Guest blogging helps you get a first page ranking through the high quality backlinks you get from authority blogs. If you are a WA member, you don’t need to install the CommentLuv plugin on your site anymore. The technical stuff has been handled for you right from default so that you can focus on what matters. You must continue requesting for comments from visitors in as much as this increases your ranking potentials in search results. Thanks for visiting! Excellent tip on commenting actively on other blog sites. You also mentioned sincere comments and make sure you read the entire article. I thought that was such a great idea, I had not considered, that I jump on the web and started looking for leading blog posts that are similar to mine. I found one but it doesn’t seem to have a place to comment. They do have an email list and I was really impressed with their advice. I like your idea of Guest Blogging but I am not familiar with this. I will have to look at this one more closely. I have saved your post to my favorites as I need to come back to this and read it more closely again. Kudos for reading my post, Rick! One of the most horrific mistakes bloggers make is leaving poops as comments. No blogger would ever appreciate such spam comments and, thus, will ever give you a mention in any of his posts. Leaving attention-grabbing and genuine comments on blogs is a great strategy to creating stronger relationship with other bloggers who even may have more traffic and domain authority than you. If you really want to ensure that you are browsing blogs that allow comments, you may do a Google search for keywords like “Blogging fundamentals + leave comments”, “Affiliate marketing + leave comments” and so on depending on your niche. It’s more promising with guest blogging than any other blogging technique. Joyce Akiko submitted a guest post to Lifehack and earned $30000 from 25000+ views from that single post alone. Thanks for visiting! Wow, I like the enthusiasm that you bring, Israel, from start to finish. Being a beginner blogger myself, I really found this post to be informative and very helpful. I will definitely take all this information into consideration as I continue to create content. Thank You for this! It really helped! Thanks for getting back, Emonne! Kudos for finding my blog post helpful and informative! You are going to learn a lot from this blog in as much as you’ve decided to learn. There is nothing so sweet and profitable like applying practicable blogging strategies and getting business off the ground on time. This is what most influential bloggers have ignored over the past years and remained struggling bloggers perpetually. Thanks for visiting! I couldn’t have agreed more to your points. Blog commenting really works for driving traffic to your site, especially when you leave insightful and helpful comments. Also, guest posting has been a game changer for me in terms of exposure and traffic. I don’t think there’s any other strategy that beats effective guest blogging. It’s one thing I’ll recommend for bloggers anyway, any time. Thanks for getting back, Anil! Kudos for being a passionate blogger and for reading my blog post! Much appreciated! Google and other major search engines place much emphasis on genuine and authentic blog comments while ranking sites. This is categorized as site and audience engagement and can place you on a first page ranking. The two most important strategies for getting first page rankings are writing remarkable blog posts and submitting guest posts to other niche related blogs that get more traffic than you. These are working strategies. Most bloggers count it as a waste of time writing guest posts for other niche related sites whereas this is one of the blogging strategies that really work for getting tons of traffic. It also helps in getting high quality backlinks. Thanks for getting back, Lisa! Much appreciated! It’s great that we found a money making platform like WA online and it’s worth learning all the fundamentals of blogging to make the most out of blogging at this stage of the business. As mentioned in my last reply, the “CommentLuv” plugin is not needed for the WordPress managed hosting packages operated at WA. The technical stuff has all been handled for you by default. This includes the All-In-One SEO plugin automatically installed and activated on your site. You would only need to make comments to other “CommentLuv” enabled blogs out there for SEO. To find authority blogs in your niche anytime, enter your search keywords in this form, “Fundamentals of Blogging + leave comments”, “Internet marketing + leave comments” and so on. You simply make the search based on your niche. I hope you get it! The information that you offer has a great value to me since I am a newbie and just getting comfortable with not only blogging but making comments that will be of some value to the site owners. I read your “How To Blog with Strategies” post and, while some of the tips I already follow, a couple were things I hadn’t thought about. Also the CommentLuv plugin is now on my list to review. SEO is an unraveling mystery to me and I hope to learn more from you and others who seem to have solved it. Thanks for your valuable contribution, Jim! Kudos for reading my post! Much appreciated! I could see that you really have a great passion for blogging and would be ready to learn all the strategies that would help you move your blogging game to the next level. If you’re a WA member, you wouldn’t need to install the “CommentLuv” plugin anymore. WA uses a WordPress managed hosting package and has all the technical stuff handled for you by default. You will just need to offer your comments to authority bloggers who have the CommentLuv plugin installed and activated on their blogs. This will help you generate backlinks. Thanks for visiting! Read my latest post below and start building your business on Google’s top three ranking signals. Brilliant post as usual Israel! Thanks for going in-depth and explaining these strategies! I have several questions. First, is the email program that you use, Hunter.io, a free service? If not, what is the cost of that service? Have you heard at all about Ninja Outreach? I would also love to see your list of CommentLuv blogs, specifically in the Online Business or Ecommerce niche. I am very new to CommentLuv. I actually wasn’t able to download it when I tried, but I will try again. Thanks for getting back, Jordan! Much appreciated! Kudos for reading my blog posts! The Hunter.io tool is excellent as earlier mentioned when it comes to sorting for individual emails that you can contact with your guest post proposal and it has the free trial option for you to get started. I have heard about Ninja Outreach but haven’t been using that at all. I have a lot of other great tools that I often use and will start giving you some of them as we move on. As a WA member, you wouldn’t need to install the “CommentLuv” plugin on your WordPress site anymore. WA operates a WordPress managed hosting package and the All-In-One SEO plugin has been installed for you by default. All the technical stuff has been handled on your behalf so you can focus on what matters, remember. To make the most out of blogger outreach campaigns, get as many as you want by typing your search keywords inside Google search box in the pattern, “Blogging Tips + leave comments”, “Top Money Making Ideas + leave comments” and so on depending on your chosen niche. This is important in order to get high quality links. While leaving your comments there, be genuine and authentic so you can get noticed fast. Do you get the logic right? Let me know your experience and I will suggest more authority bloggers for you. Remember, Google disclosed In March, 2016 that its top three ranking signals are Links, Content and RankBrain. Make sure you focus attention on link building and content. The result will amaze you. This is a great post that has reinforced all of the training I have received at Wealthy Affiliate. I am using pretty much all of these principles. I focus on only quality content and use low hanging fruit keywords. This has gotten my article ranked very highly, very quickly. I am even on page one on Google for several of my posts. I appreciated your website and all of its very useful information. I will be back for more. Thanks for visiting and reading my post, Curtis! Congratulations on getting ranked in Google! While rejoicing on getting a first Page Rank, you shouldn’t relent in the effort of building out your site. Content is part of what makes you appear in the first page though has some technical strategies like making it topically-relevant, making the length up to 1890+ words and so on that must be implemented. Congratulations! The biggest challenge for me I think has been staying consistent with writing posts. This is all awesome information. It’s just terrible when it comes to implementing it! Ha ha any suggestion on how to optimize my time or set a better schedule, Israel? Awesome site by the way-will be checking back often! Thanks for your contribution, Jasonscott! You will get Google ranked by consistently making posts though you have to make your articles topically-relevant and up to 1890+ words in length. This was found in a recent search of over 1 million articles by Brian Dean; the SEO expert in the blogging industry. Kudos for visiting my blog! OK, you got me. I feel like I just started an advanced degree. Not only do I have to go back and work on this step by step, I’m gonna bookmark your site as well. I really wanted to sound genuine and point out something I liked in particular, but to be honest, every point you made was inspiring. Though writing is not new to me, SEO is (which is surely obvious). I look forward to reading your other material and touching base with you in the future. Thanks for reading my post, Chris! Much appreciated! Your comment is really genuine and I saw the passion in you towards becoming a rocking blogger soonest. Working the blogging techniques with the right energy will surely work it out for you. Writing a compelling guest post can earn you hundreds of thousands of dollars in lifetime. Akiko, an internet marketing guru published a guest post on Lifehack and earned $30000 from 25000+ views. This is real. I have come to realize that most influential bloggers have ignored those blogging fundamentals over the past years and it’s caused a lot of setbacks for the veteran struggling bloggers. I have decided to teach basics of blogging from time to time in order to save as many as possible. Thanks for visiting, Chris! Israel, I am glad that I came across this page! This has really got me sitting up straight. I have just very recently started blogging and you have just gone and thrown me in at the deep end. But, hey you’ve also thrown me a life-line with all this crucial information. You’re a master at this I can tell and I so appreciate everything that I have learnt in the past 20 or so minutes. It would have probably taken me goodness knows how long before I realized the importance of comments and commenting. I do have a question though about Top List Posts. I’m not completely sure that I understand this concept that you present. Please define this for me. Thanks for visiting my blog once again, Brian! Kudos for taking time to read my post! As you read in that post, these are the basic fundamentals of blogging which most veteran bloggers have ignored over the years in the past and that has threatened the progress of most struggling bloggers thereby causing many to give up. Blog commenting is one of the basic ways to get high quality backlinks and most people are weak in that area, thus, looking for shortcuts to getting traffic which leads to severe penalty in the short-run. At least a top list post of 2000+ words in length can skyrocket your site to the first page as soon as possible because it ranks better than other types of blog posts. Examples are “Top 10 Blogging Fundamentals”, “Top 15 Ways To Become A Rocking Blogger” and the likes. Thanks for your comment, my friend! I can attest to your suggested strategies. I’ve tried just about everything to get new traffic to my website and you hit the nail on the head concerning the strategies that work. I think my number one strategy is properly using social media to connect with readers. There are some do’s and don’s to this that can make a big difference. When you comment on other related bloggers posts, do you recommend including a link to your website? Thanks for visiting my blog, Cameron! Kudos for finding my post helpful and informative! Getting traffic through social channels really works out but you will be missing out ignoring those fundamentals of blogging you read about in that post, friend. There are two major ways to get traffic through blog commenting. The first way is through “Dofollow” backlinks and the other way is through the clicks on the website address you leave in the comment making form whenever you make a comment on a blog. Thanks for taking time to read my post, my friend! Amazingly insightful and generous post on Blogging strategies! 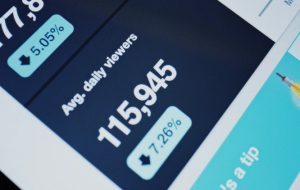 Even after being online for many years, I have never cracked the traffic code and learnt more in the 5 minutes reading this post than all the trawling in the world of content and Blogging strategies. Can not wait to check out the “CommentLuv” and for some reason, I have been resisting video but really the time has come now to get on board with it! Truly I appreciate and value the information. Can not wait to read through the rest of your site. Thanks for leaving a valuable thought, Laura! Kudos for finding my post generous and amazing! This is awesome. You wouldn’t believe that some veteran bloggers struggle to make blog posts on a daily basis, but wouldn’t mind to learn the basic content marketing strategies for them to see better results. Videos are awesome-sauce for your content marketing projects and can make you generate more traffic than ever. Do you know that “Your readers can only remember 20% of what they hear and 30% of what they see while they can remember 70% of what they hear and see watching videos”. If you are a WA member, you shouldn’t bother about installing the “CommentLuv” plugin anymore. All has been included in the all-in-one SEO plugin installed for you by default. The whole technical stuff has been done for you by default, but must leverage making comments to other “CommentLuv” enabled blogs out there to generate high quality backlinks. I bookmarked your blog. It is one of the most helpful posts I have ever come across within blogging niche. I use most of the recommendations above, but two of them were brand new. The first one is leaving comments on the other blogs. By doing so, do you leave your website below to make it more effective? Or specified email is more than enough for this purpose? Now the other tool you mentioned is CommentLuv plugin that allows leaving your latest post in comments to other blog posts. It sounds great but won’t it attract more spam comments to your website? I mean If the comments left on your website are quality-like its one thing, but if you get comments just whatever with the link to the blogger’s latest post, how effective will it be? Thanks for leaving a valuable comment, Anna! Kudos for reading my post and fleshing out relevant points! With all indications, you’re doing blogging the right way. Leaving comments on other people’s blogs is part of your outreach campaigns and this is fundamental to blogging. Authority bloggers like Jon Morrow of SmartBlogger, Ryan Biddulph of Blogging From Paradise, Hassan Khan and the rest followed all these blogging fundamentals and became highly successful. It’s a must that, if you want to be an achiever like these successful bloggers, you must follow their footsteps. They did blogging the right way. In the “CommentLuv” comment form, you have the field to fill your details including your Name, Email and Website address if you are commenting on a blog that has the plugin installed. The “DoFollow” links you generate from that are regarded as high quality backlinks which are extremely crucial ranking signals to make your site appear on the first page in Google. If you are a WA member, you don’t need to bother installing the “CommentLuv” plugin because all the technical stuff has been handled for you by default. You only need to go ahead doing your outreach campaigns actively to continue building links. Leaving genuine comments on “CommentLuv” enabled blogs does not attract spam comments in any way but rather drive more bloggers to leave genuine comments on your blog knowing that they wouldn’t be approved if they leave spam comments. Thanks once again for finding this post helpful and informative! Kudos! This is a game changer for me…and will definitely change my course of blogging from now on. Thank you so much for sharing this! It’s an eye opener for me. Thanks for the valuable thought, Parsons! Kudos for reading my post! As you read in that post, you’ve got to update yourself on the way you go about blogging lest you make horrific blogging mistakes like most influential bloggers do online. On this blog, you will learn all the fundamentals of blogging and these will straighten you in the course of blogging. What many bloggers cannot achieve in 12 months, you will achieve in 1-2 months if you would follow those blogging fundamentals and every piece of advice being given here. Thanks for reading my post, Aladin! Kudos for carefully going through my post! Much appreciated! It’s quite hard getting first page rankings based on writing content alone without building links as discussed in the post fully. Most veteran bloggers out there remained struggling bloggers for several months and years not being able to appear in the first page at all because they refused to go on proper SEO research and failed to listen to experienced bloggers who are SEO experts and researchers in following all blogging fundamentals. As it is now, there are millions of articles being published daily online out of the billions of blogs created online and there are thousands of bloggers out there blogging in similar niche. Now, with the competition on grounds, it would be so hard to drive traffic focusing attention on content alone if you wouldn’t start working on link building now. You can always get back to me as far as building high quality links is concerned. Note that you must continue updating your blog with quality content while engaging visitors alongside building links. Please be cautious against generating low quality backlinks through link auto-generator software. If anyone is trying to encourage you to use such tools, please resist to avoid getting slapped by search engines. It’s strictly prohibited. Thanks for your valuable thought, Benito! Kudos for the exposure you’ve got from the affiliate marketing heroes so far! I appreciate your involvement in some of the affiliate marketing certification courses home and abroad and would like to commend you for agreeing with me that content marketing strategy would be helpful in stepping up fast. It’s great to see someone like you around who has been outreaching to the extent of building connections with top bloggers like Neil Patel and getting trained by such internet marketing gurus by Jon Morrow of SmartBlogger. Authority bloggers like Neil Patel, Ryan Biddulph and others have gone a long way back in the world of blogging and veteran bloggers should aim at becoming pro bloggers like these authorities. Kudos for leaving a genuine and relevant comment here and thanks for carefully reading my post, my friend! I’ll visit those sites you recommended and will hopefully feed you back in one of our future exchanged comments. It’s nice meeting you Benito. These are a lot of great tips, Israel. I am glad you mentioned about leaving quality comments on other blogs. Too many times as bloggers we get the quick comment of “great job” or “interesting article”. That is not a well-thought out comment and in most cases I delete those kind of comments. I have heard a lot about CommentLuv. I do not currently use it but I will take a good look at it since you are mentioning it as well. I do think that commenting on authority blogs in our niche is really powerful as well. Thanks for sharing! Thanks for your valuable thought, Nate! Kudos for reading my post! Being everywhere and constantly leaving genuine comments on other people’s blogs will not only make the bloggers notice your comments but will prompt them to visit your blog, read your article and leave valuable comments on your blog. As you read in that post, the whole connection of fans, friends and social group of people who have been following and respecting them will follow suit. What a great dividend! Approving spam comments is as simple as gathering poops on your blog and this can eventually turn your blog a dunghill. How would you feel if you should allow such poops in blog comments to affect your blog that way? The CommentLuv plugin is really great when it comes to encouraging hundreds of people to leave you comments from time to time, but If you are using the WA platform for giving and taking comments, you are very okay. You may not bother about the plugin anymore. WA has covered the technical aspects for you. Thank you for all this information! I am relatively new to blogging and I am looking for all the tips I can get to help increase my traffic. I didn’t realize how important it was to be consistently commenting on other websites. I love the tip about how to find websites to comment on and I will be following this strategy starting from today. I will also be looking into the CommentLuv plugin to add to my websites. Thanks for leaving a blog comment, Julie! Congratulations to you on starting your own brand! Be rest assured that you’re going to see your blog on top soon if you can follow the fundamentals of blogging being taught here. Your blogging success simply lies in implementing those strategies and you will say big thanks for doing so. A lot of secrets are still hidden to most struggling bloggers out there including the so-called influential bloggers. Content marketing strategy needs to be implemented even if you are working your search engine ranking based on content alone. A lot of bloggers made horrific mistakes on this particular aspect of blogging and some were so late to realize the truth. There’s a lot for you to learn as far as learning content marketing strategy is concerned but if you would get some quality time, I would suggest that you should go through the shortlisted posts below and you will be perfecting your knowledge in the business of blogging.